Contact Kerry at Kitten Kapers Rescue to express your interest. 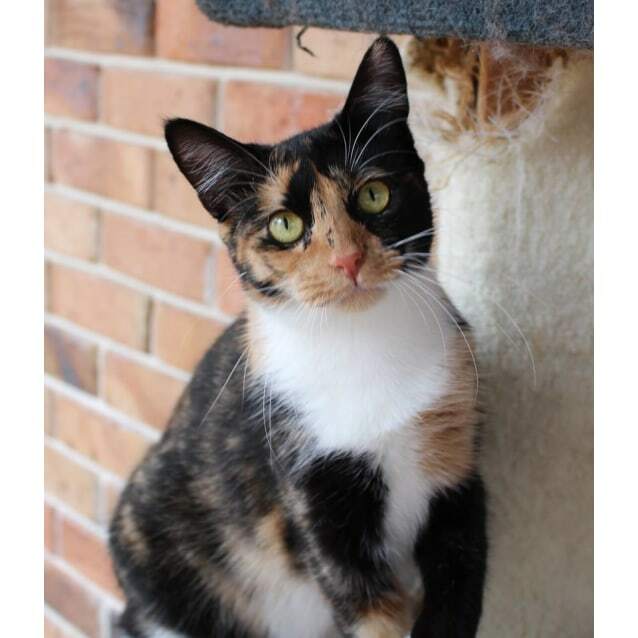 Kloe is a petite calico girl who is still very much a kitten herself has been a wonderful mumma to 5 beautiful kittens. Kloe loves to have a chat, chirping hello & purring while relaxing beside you to watch tv. As she is still a kitten herself she sometimes forgets to be gentle during play so best to always use toys and not your hand. Kloe would best suit a home with outdoor dogs only, children over 12 and no other cats. Available now 😊 Contact Kerry on 0421 646 631. She is in Birkdale.